Equipped with a powerful 550 CFM fan, this straight edge stainless steel canopy range hood by Cyclone also comes with dishwasher safe filters, a three-speed digital control panel and a timer-delayed off mode for added convenience. The ultimate in high-quality exhaust fans, this model is perfect for cooks who demand serious performance. This Electrolux Externally Vented Range Hood is a durable and easy-to-clean stainless steel range hood that features an attractive chimney design. It's powerful enough to clear the air and eliminate lingering cooking odours after making a home-cooked meal and features electronic controls, adjustable timers and an auto-heat sensor function that ensures proper ventilation. 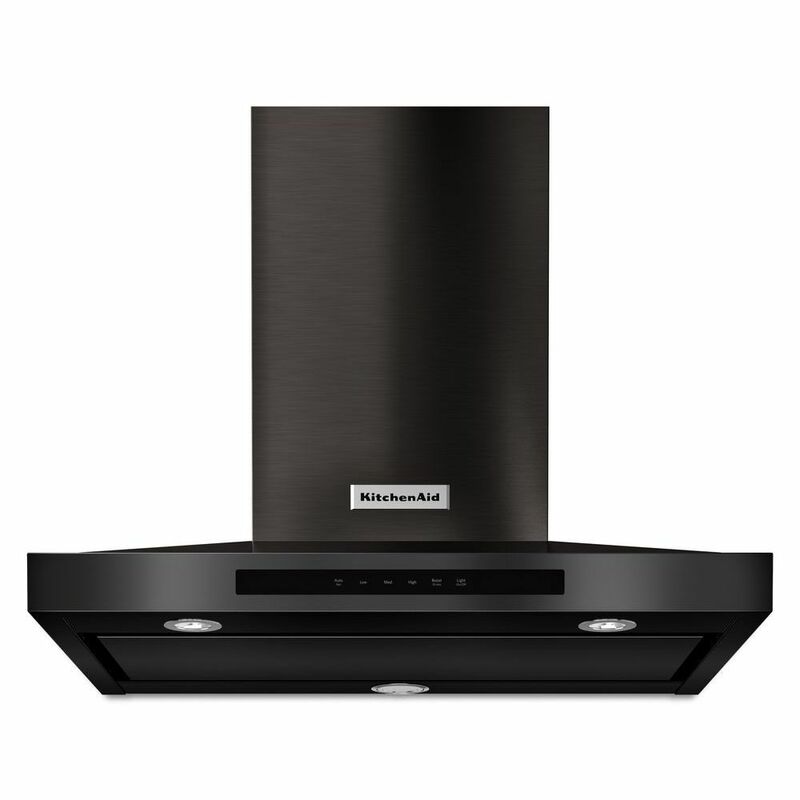 30-inch Wall Mount Range Hood In Black Stainless Steel is rated 4.0 out of 5 by 54. Rated 4 out of 5 by MJ from Haven’t used it. But it looks great.... Haven’t used it. But it looks great. We will require an extension on the exhaust pipe. Is this available in the black stainless to match this item either from KitchenAid or other supplier?